Dwayne “The Rock” Johnson has forged a successful film career from cracking skulls, taking names and strangely squeezing his oversized frame into kid flicks. While his films have always been light on acting they have always been heavy on the hitting at least. His latest film attempts to tell a human story while also providing his long time fans with a little bloodshed along the way. The Rock plays all American dad John Mathews. Loosely based on a true story, Snitch is the story of a father who goes undercover for the DEA. His aim is to inform on drug dealers in exchange for his sons freedom from prison after the little tike is busted with a rock stars supply of drugs. Susan Sarandon plays US attorney Joanne Keeghan who then manipulates John to progress further up the ladder of the criminal underworld to infiltrate a dangerous Mexican drug cartel. The story behind Snitch is relatively uninteresting, but that fact will not be a shock to many. 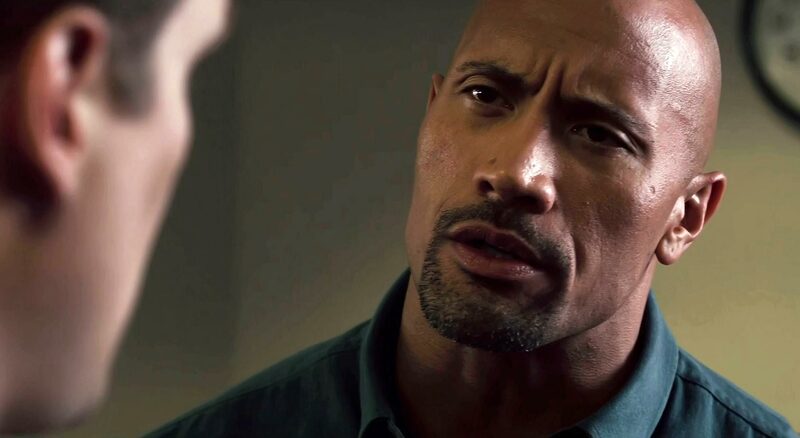 Another major problem with Snitch is The Rock and his bulking mass trying to be passed off as the norm for a suburban father. The wrestler looks out of place everywhere in this film and when put next to criminals who are supposed to be intimidating, it’s just ridiculous. He looks like a tiger thrown into a cage of tiny kittens and the effect is almost comical. The support cast does an adequate job of repeating the scripted clichés with gusto or teary intensity, depending on what the moment requires. Unfortunately, none of the supports (including Joe Bernthal from the Walking Dead and Barry Pepper from Saving Private Ryan) are given the chance to show us anything different from previous work. When the action hits, it is shot quite well and thankfully not over done with slow motion or over used multi angles. The car stunts look fantastic and are done without the use of computer graphics. Snitch is an adequate action film and a terribly bad drama film rolled into one. Is action/drama a genre now? With a more capable actor and tighter script this could have been an interesting film. What we are left with is an unbelievable and undercooked action film that misses the very easy target it is going for. Snitch is not completely unentertaining - it’s just not engaging. 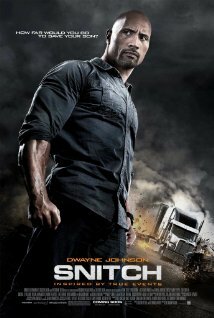 The Rock does have a certain onscreen charisma, but he is wasting that limited talent trying to be a serious actor. His believability in these kinds of roles is equal to his skill as an actual wrestler: none. If you must watch this film, rent it.